Former National Security Agency technical director and surveillance state whistleblower William Binney has long said 9/11 could have been prevented had the NSA not capitulated to big-money private contractors less than a month prior to the attacks. Mainstream media, perhaps capitulating to its own monied corporate owners, relegated Binney’s explosive claims to the backburner for years. However, on Thursday — two days after the Senate Judiciary Committee began debating whether or not to reauthorize massive and controversial NSA surveillance programs — Salon finally headlined Binney’s damning claim and its backstory. The attacks of September 11, 2001, could have been thwarted using information the NSA had available but didn’t catch, as well as through communications with other agencies it simply didn’t bother to undertake. And, according to Binney — who is often called the ‘original’ NSA whistleblower — most of the failure boils down to private contractor cash. Binney spearheaded an elaborate metadata analysis and surveillance program named ThinThread, which promised both efficacy and privacy protection. But just a few weeks before the attacks, the NSA pulled the plug on ThinThread in favor of private intelligence contractor SAIC’s Trailblazer — a more expensive, privacy-invasive, and worse, less effective surveillance tool. On September 12, Binney decided to find out who had carried out such a nefarious plot — and why it hadn’t been stopped. Because NSA director Michael Hayden sent staff home both on the 11th and 12th, Binney snuck into work disguised as a janitor to attempt to glean any information that might help explain how the agency tasked with protecting the security of the nation could have missed hints such a major operation was impending. As he explains in the forthcoming documentary about his experience, “A Good American,” cited by Salon, some contractors working in the same unit as Binney received a warning. “While I was in there trying to look at the material on my computer,” Binney said, “the president of the contracting group that I had working on ThinThread came over to me and said he’d just been in a contractor meeting” with a former top SAIC manager who’d returned to the NSA to work on Trailblazer. Those contractors had been advised not to criticize firms like SAIC for failing precisely what their job putatively entailed — preventing terror strikes like 9/11. “Do not embarrass large companies,” Binney claims the SAIC manager told a contractor. “You do your part, you’ll get your share, there’s plenty for everybody.” In short: keep quiet, get paid. Binney and his like-minded NSA colleague, Thomas Drake, suspected SAIC’s Trailblazer — and thus SAIC — shouldn’t have missed the mark. Though Binney and a number of others left the NSA when it instituted the illegal wiretap program, Stellar Wind, Drake remained at his post — and tested ThinThread to “find out if there’s any information of the 9/11 attack that we should have known about but didn’t,” he explained. Trailblazer was an utter failure. An investigation and subsequent report by the Department of Defense’s Inspector General — conducted following complaints from Binney, Drake, and their colleagues — led to the shuttering of the program. But Trailblazer wasn’t the sole failing of the NSA in the September 11 attacks. Several former NSA employees accused the agency of failing to share critical information with the CIA and FBI prior to 9/11. More contentiously, former employees have intimated both the communications failure and the choice to proceed with SAIC’s inept surveillance program might not constitute such an accidental error. 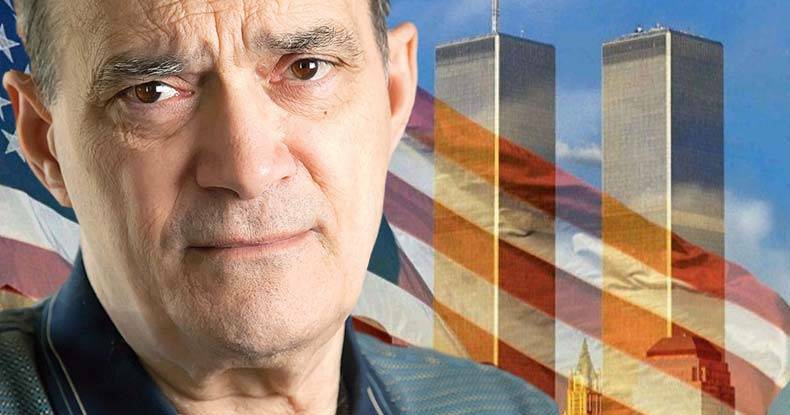 Whether or not ill intent underlies the NSA’s failings in the 9/11 tragedy will likely never be known — but the fact Binney’s experience has now hit mainstream headlines denotes a step in the direction toward the truth.